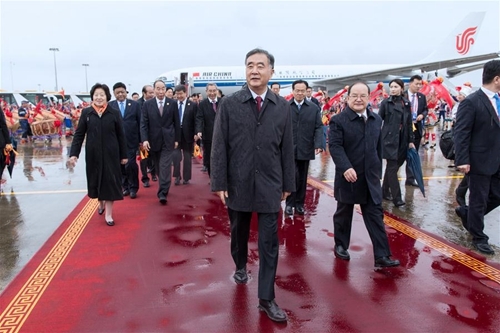 A central delegation led by China's top political advisor Wang Yang on Sunday arrived in Nanning, capital of south China's Guangxi Zhuang Autonomous Region, to attend festivities marking the 60th anniversary of the region's founding. 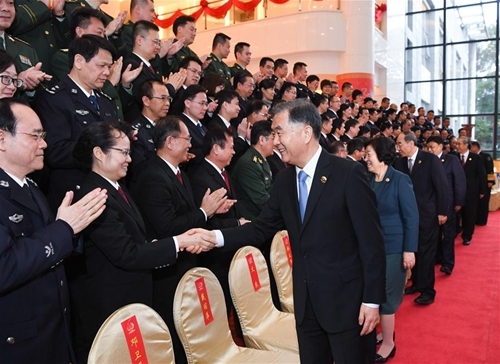 The central delegation presented the region with souvenirs, including a plaque with an inscription by Xi Jinping, general secretary of the Communist Party of China (CPC) Central Committee. 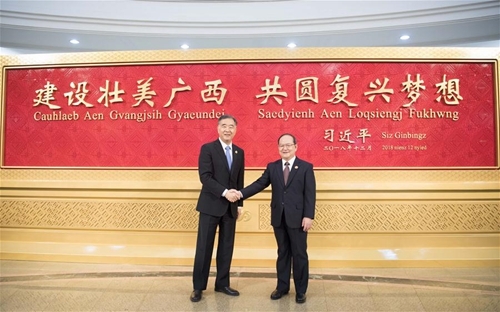 It reads "building magnificent and beautiful Guangxi, jointly realizing the dream of rejuvenation." 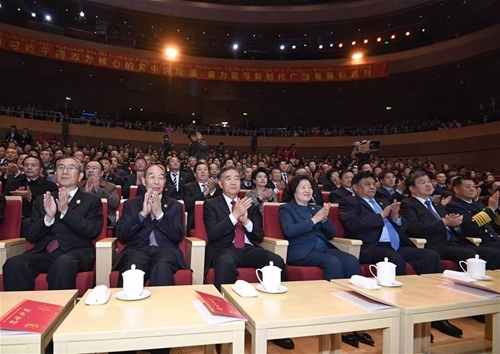 Wang, a member of the Standing Committee of the Political Bureau of the CPC Central Committee and chairman of the National Committee of the Chinese People's Political Consultative Conference, unveiled the plaque, alongside with Lu Xinshe, secretary of the CPC Guangxi Zhuang Autonomous Regional Committee. 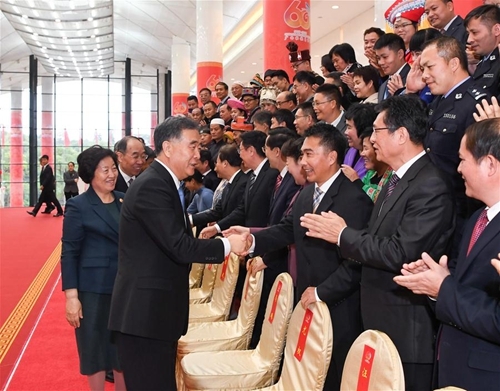 Xi cares much about people from all ethnic groups in Guangxi, said Sun Chunlan, a member of the Political Bureau of the CPC Central Committee and Chinese vice premier, when addressing the unveiling. 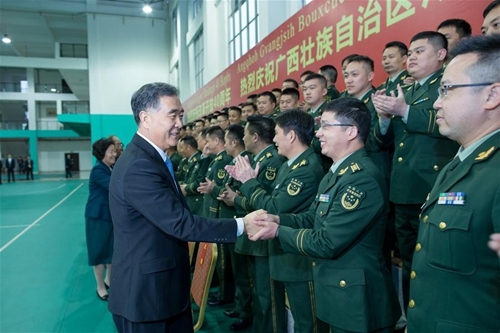 Xi's inscription expressed his good wishes to and high expectation on Guangxi, and will inspire the Guangxi people to work in unity and forge ahead to enter the moderately prosperous society together with the rest of the country, Sun said. 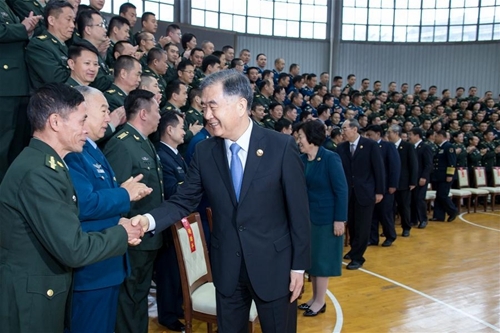 Wang met with representatives of military forces stationed in the region, armed police forces, and officials of political and legal affairs there. 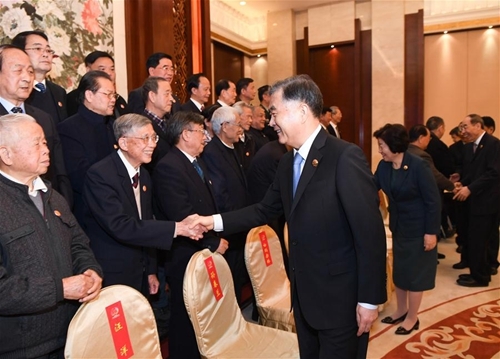 He also met with retired officials and people of various ethnic groups and from all walks of life, and extended greetings to them on behalf of the central delegation. 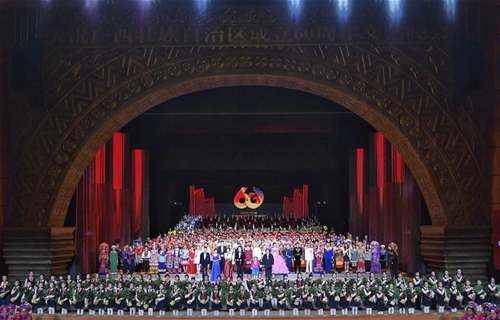 In the evening, Wang and other delegation members joined about 900 locals at a grand gala, which presented a feast of dancing and singing.